At over 45 carats this diamond and emerald bracelet has to be seen to appreciate its rarity and beauty. A very rare and important bracelet which can be constructed only after years of finding matching top grade emeralds and bright white diamonds. 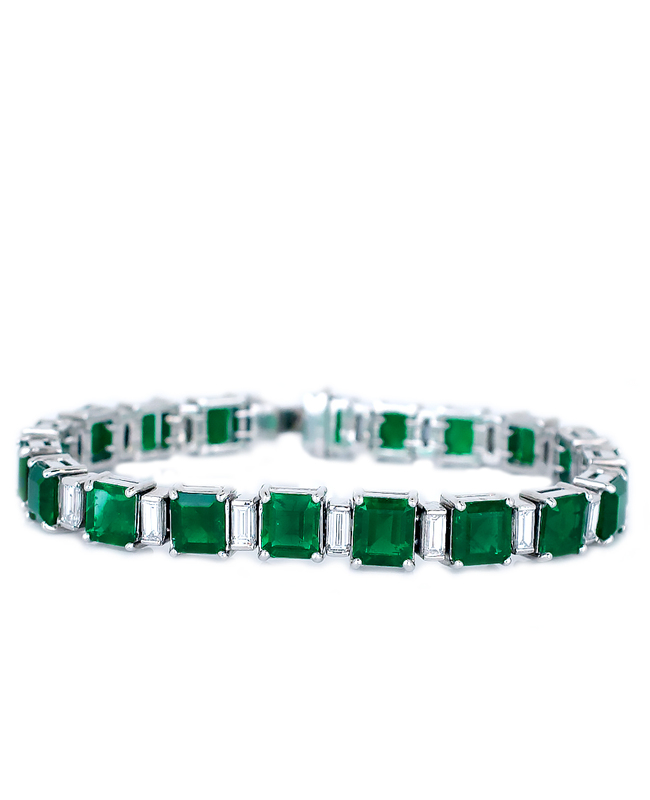 This bracelet consists of over thirty eight carats of prime octagonal cut Colombian emeralds all facing up with a rich green color indicative of only the finest quality. The emeralds are flanked by baguette cut diamonds which are white in color and VS clarity. 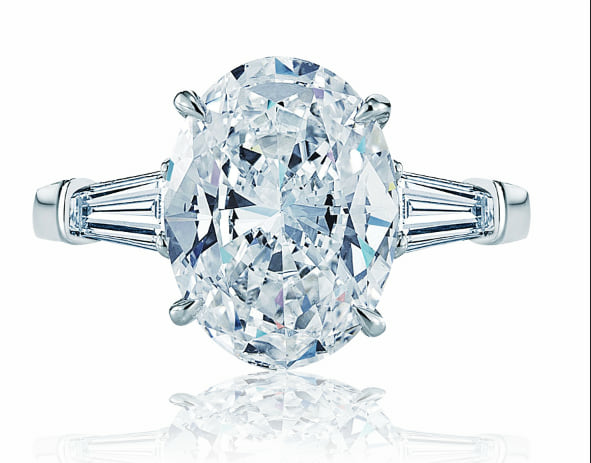 The baguettes weigh in total over 6 carats making this piece an instant heirloom. Bracelets like this and many others can be found at our Newport Beach Location on PCH north of Corna Del Mar, Laguna Beach, west of Costa Mesa and across the street from Balboa Island.